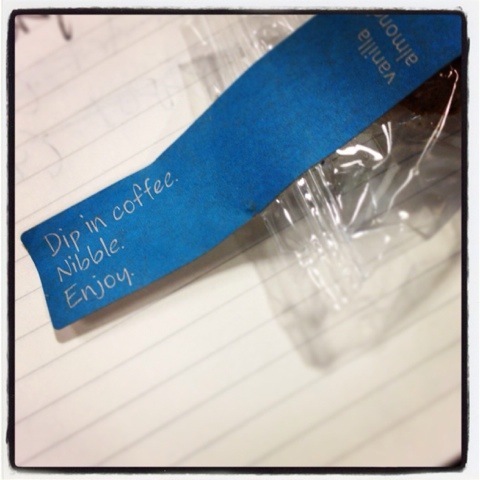 Dip in coffee. Nibble. Enjoy. Such simple words. Such basic instructions. Reading these this morning brought me joy. Calmness. Centered me and made me pause before I sit to focus for the day. Perhaps my mornings should start off with a little something sweet more often.